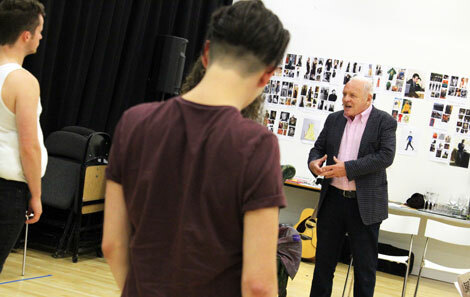 Sir Anthony Hopkins, multi award-wining actor, composer, and artist made a surprise visit to the College on Monday to celebrate the anniversary of the day he started his training here, 61 years ago, on 3rd October 1955. 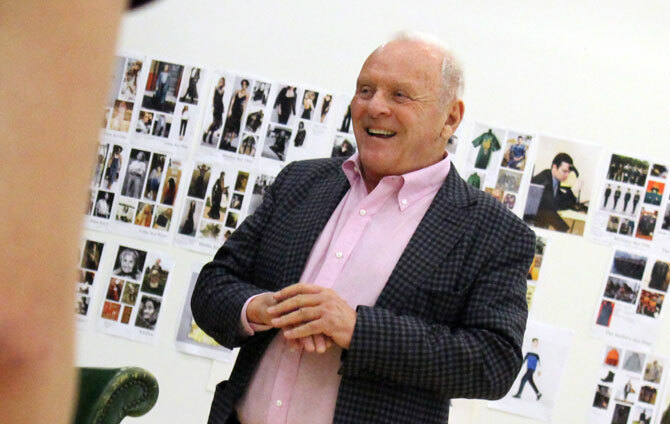 Sir Anthony and his wife Stella chatted to design, stage management, music and acting students, and also listened to some jazz rehearsals in the Dora Stoutzker Hall. They visited the College’s new facilities including the Richard Burton Theatre, named after another of Wales’ great acting legends. 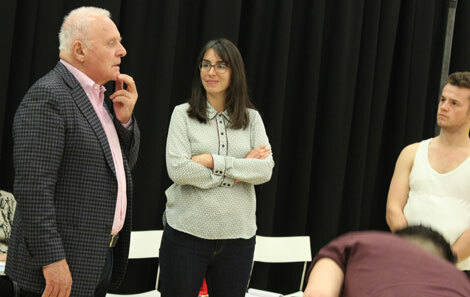 He then joined a rehearsal of Chekhov’s Three Sisters, which the Richard Burton Company is performing later this month. Sir Anthony played Andrey in a 1970 BBC production, and he gave the student cast some unique insight into the play. Acting student Joe Wiltshire-Smith, from Bridgend, said ” I’ve had Sir Anthony’s autograph on my bedroom wall since I was 13. Suddenly he’s there in front of me in a Monday morning rehearsal, and I’m in a improvised scene where he’s playing Natasha to my Andrey. 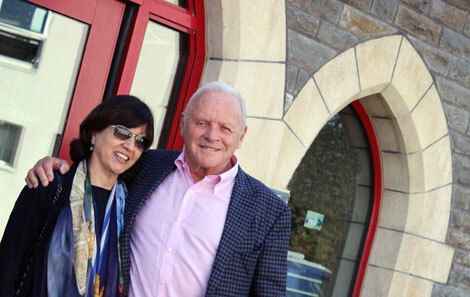 Sir Anthony also toured the beautiful music facility that bears his name, The Anthony Hopkins Centre.